It has become increasingly popular for homeowners to enlarge their properties, especially with families ever growing and house prices rising. But the big question… conservatory or extension? 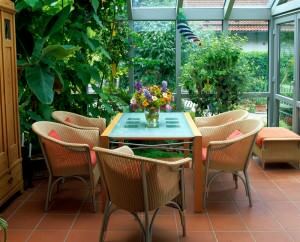 Choosing between a conservatory and extension mostly comes down to cost. This cost can ultimately depend on a number of factors including style, shape and size of your build. You may be seeking to build a small, quiet haven to escape the noise, or perhaps you’re dreaming about a large, airy space for the children to play in? So, what are the pros and cons for a conservatory or extension? Before exploring those it is important to have a good idea of exactly how much space you actually need. If you really need two stories of additional room and your budget allows, then a full extension would appear to be the answer. But, do you need all that? Are you willing to make compromises? Consider the process before the first spade goes into the ground. An extension requires planning permission which takes time, even if you haven’t used your permitted development rights. You may get the necessary drawings and submissions done for under £2,000, but be sure to nail down those costs first. 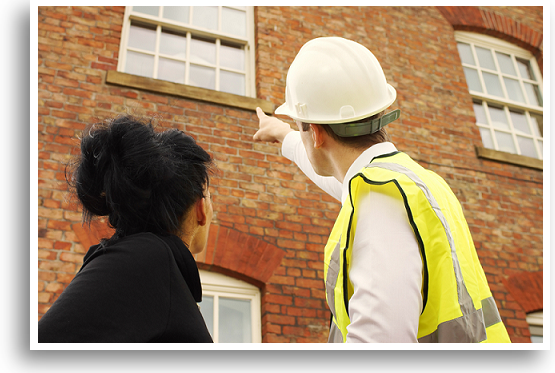 If your plans are approved, you’ve sill another £1,000 or so for building regulations submissions. Extending your living space is always a good idea, but the danger is that your conservatory ends up looking like something just bolted on the back. Make sure the conservatory matches the style of the rest of the house, unless you desire a contemporary and quirky design. (You may be feeling inspired after watching Grand Designs!) Often, the planning process can be so exciting, homeowners forget about the style of their existing structure. A great way to avoid this is by installing the same flooring throughout your downstairs living area. It leads the eye on and ensures that the conservatory feels part of the rest of the home. Of course, the exterior is vital in creating this sense too. A conservatory (cost £5,000-£30,000) can add around 7 per cent to the value, while a full-blown extension (£10,000-£30,000) adds 11 per cent. Not only will a conservatory provide you with a little more space but it will also bring more light into your property. Due to the modern, glass features of a conservatory, light is able to flood the room which also creates heat in the winter. This is something that an extension falls short of. A conservatory will transform your everyday space and are available in many styles, allowing you to get creative and add your own personal touch. The costs incurred for a conservatory at this stage in the process is the cost of petrol to drive to the showroom of your Local Trusted Supplier. What might not be quite so obvious is time. Your time and your family’s time while you wait for the wheels of government departments to turn. Building an extension can be tedious when awaiting for local councils to approve planning permission. The 12 to 16 weeks of waiting to start an extension compresses to about 21 days when deciding to extend your home with a conservatory. Then there is the final cost. The huge savings you will make when building a conservatory rather than an extension can be used for better furnishings, garden improvements or maybe even a holiday. The best part about building a new conservatory, is deciding how to decorate it! Perhaps you live by the sea and dream of a calming nautical theme, or maybe a you desire a vibrant and fresh design, to compliment your garden? Your Trusted Local Supplier will spend time with you in your home and garden to take you through the many design options and will help you make the choices that will give you the extra space that you and your family deserve. So Where Do You Stand – Conservatory or Extension? If you’re feeling inspired or maybe you still feel unsure and want to learn more about the pros and cons, call us on 0800 015 5679 for more information. We’d love to hear about your design plans and are more than happy to help. Alternatively, you can use the Quoting Engine below to explore design options for a conservatory and view pricing.